Eh, why not?! 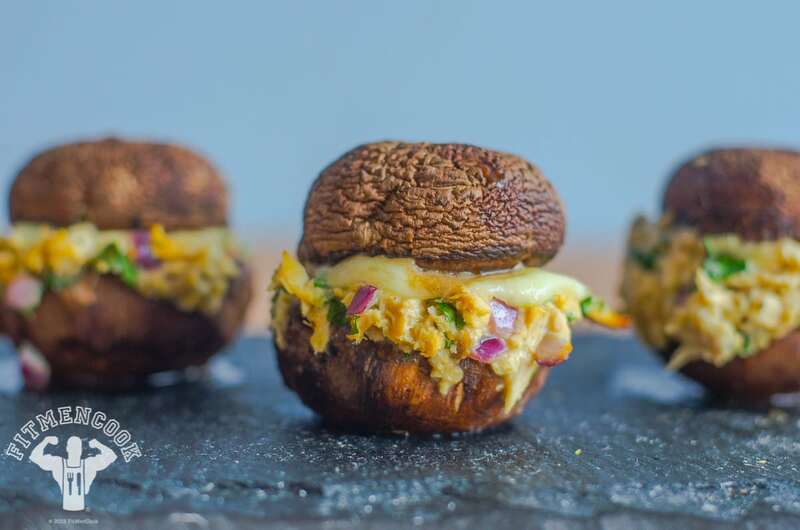 I had some leftover tuna from my article & video on creative ways to use tuna, so I put together this delicious low-carb slider in about 20 minutes. Try it out – you may fall in love with tuna all over again. Drain excess water from the package of tuna. Combine all ingredients – except for the mushroom caps – into a large bowl. Mix together. Remove stems from the mushrooms and scrape out the inside of the cap using a spoon. Build the sliders. Evenly divide the tuna salad among the 3 sliders. Top the tuna salad with a piece of mozzarella cheese and then add the mushroom cap as the top bun. Skewer the entire slider with a wooden kabob stick. Place the slider on a baking sheet and then wrap foil around the slider to keep it from moving in the oven.